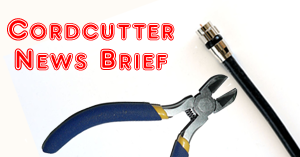 In this week's collection of recent cord-cutting news items from around the web: Everything coming to Hulu, Amazon Prime, and HBO Now in February; tidying up Netflix; Ultraviolet to shut down; Comcast favoring Roku over Apple TV for Xfinity app; almost 60% of Americans have ditched cable TV; customers are fleeing DirecTV Now; Apple CEO Tim Cook says the cable bundle will unravel in 2019; and more! "Mystery, horror, and X-Men are in the air" according to The Verge. "February is the month of romance and remembering black history, but this month, Hulu, Amazon Prime, and HBO Now are mainly serving up adventure, horror, and superheroes." Agatha Christie's The ABC Murders is an original series from Amazon Prime, Season 2 of Legion is coming to Hulu, and the superhero film Deadpool 2 will be available on HBO Now. See the full list here. Los Angeles Time culture columnist and critc Mary McNamara says, "I don't want to see Marie Kondo's sock drawer. I want to see her Netflix account. Or her Amazon Prime Video watchlist. Or her DVR queue. Because these days, that's where the real clutter crisis can be found." Through her book The Life-Changing Magic of Tidying Up: The Japanese Art of Decluttering and Organizing and her new Netflix series, the tidying guru has helped people declutter their homes. McNamara declares that Kondo "is also just another show on Netflix, which makes the whole thing pretty hilarious. Because there is no single space on Earth as untidy and overstuffed as Netflix, the crammed-in, piled-up garage of the ever-growing, increasingly ill-organized mansion of narrative screen culture." McNamara goes on to vent about "the ongoing, stomach-sinking absolute non-joy that is sparked by the ever-shifting screen of what's new, what's trending, what I should be watching based on what I have watched before, or what my family has watched, or what everyone else is watching that confronts me every time I venture onto the cultural streamscape of Netflix." Variety reports that "Ultraviolet, a cloud movie locker once hailed as Hollywood’s best bet to get consumers hooked on digital movies, is shuttering. The Digital Entertainment Content Ecosystem (DECE), the industry consortium that has been tasked with running Ultraviolet, will shut down the service on July 31." Rather than delete your Ultraviolet movie library, Variety says that users should make sure that their libraries are connected to the service of at least one retailer, which can be used to access videos after the shutdown. Find more information on the UV FAQ page. "Comcast is sidestepping development of an Apple TV app for Xfinity TV customers in favor of its plans for Roku boxes and technology based on Sky's Now TV service," according to Apple Insider. BestAppleTV.com said that "Comcast – America’s largest cable TV operator – will not only pass on using the Apple TV platform as the future infrastructure of its streaming cable systems in favor of a Roku-designed smart box, sources report it will not create a tvOS app to stream its cable systems to potentially some 21 million customers. The news is a big hit in Apple's efforts to expand the platform as an alternative for cable systems and their customers to watch streaming television." BGR reports that a new survey by Waterstone Management Group shows that "[a]lmost 60 percent of Americans... have canceled their cable TV packages, with only 12 percent affirming they're fine with continuing to pay traditional cable companies for TV... [and] another 29 percent of Americans responded to this survey by saying they're close to canceling their cable subscription and going all-in on streaming." According to NBC News, AT&T announced that it lost 267,000 DirecTV Now customers in its fourth quarter. NBC News says that this is "a clear indication of the challenging economics of streaming that comes just a few months before the company's planned launch of a new batch of branded streaming services... Wednesday's news is a chilling reminder that big companies looking to capture cord-cutters are struggling to find profits"
"Apple CEO Tim Cook predicts cable bundle defections will accelerate in 2019 -- but 2020 may be the year losses really add up," predicts a CNBC commentary. "It's clear that big changes are afoot. But the idea that 2019 will be an inflection point year may be misguided... Even BTIG analyst Rich Greenfield, who has beat the drum on the collapse of the cable bundle for years, acknowledges that 2019 may be a year too soon too see a major effect. 'The bigger crack may end up being 2020, Greenfield said in an interview. But you know this stuff is coming." The Houston Chronicle warns that "enough people have dropped cable TV in favor of streaming to the point that big players smell money. Like sharks chasing chum in the water, they're closing in." Their article quotes Dan Rayburn, a principal analyst who studies the streaming market for the research firm Frost & Sullivan, as saying that "the problem we have now is there is so much fragmentation in the market. It's hard to tell what's available on what platform." In discussion the profusion of new streaming services the Chronicle says "All these new players are going to be reaching out for your wallet."